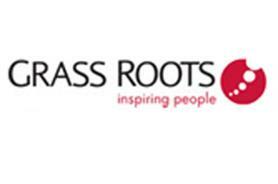 Grass Roots has reported a group operating profit of £4.1m for the year ending December 2011, after reporting an operating loss of £1.5m for its previous annual accounts. Chairman and chief executive David Evans described the group’s performance as "a step back into the light of improving performance". The group recorded a turnover of £300m, gross profit of £72m and earnings before tax (EBITA) of £6.9m. Its last set of results, which were for the 18 months to 31 December 2010, saw the group report a turnover of £424.m, gross profit of £96.9m and EBITA £1.8m. Evans said: "We have continued to invest in people and service product with our latest effort being the deployment with clients of the new ‘inspire’ generation of cloud-based applications in reward recognition and other vital connectivity needs."